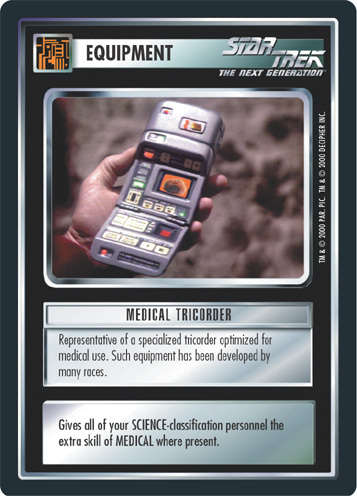 Representative of a specialized tricorder optimized for medical use. Such equipment has been developed by many races. Gives all of your SCIENCE-classification personnel the extra skill of MEDICAL where present.